One of the things I love about die cuts is their versatility. I love how you can get two different looks or better yet two different cards by swapping out the die cut elements. I am also submitting both of these to the Simon Says Stamps Wednesday Challenge - Make it Colorful! Fabulous card Tracey - love it! Beautiful! So clever to use the positive and negative - no waste - and what a contrast between the two. Which one do you love best? I just can't decide! Love them both!! Fun design, Tracey, and even better when you end up with 2 cards! Love both of these. It is so very clever of you to make two cards out of one die cut set. Also, love how you've split up your sentiment. 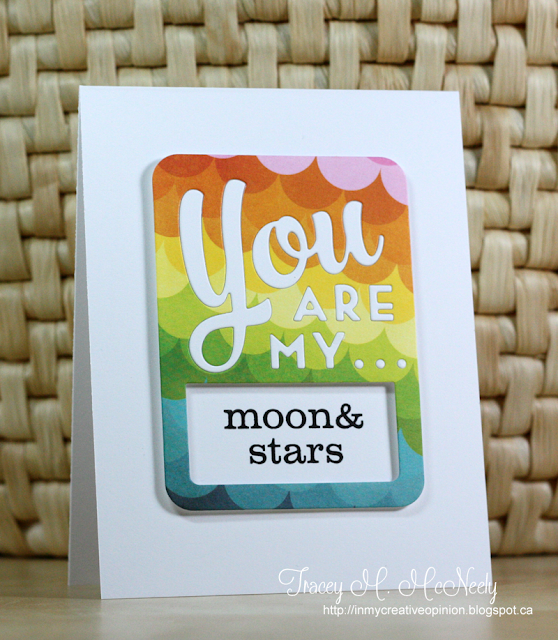 Two really gorgeous cards, Tracey! How clever you are...and what a great choice of stamps and dies! Oh what a wonderful way to use the positive and negative cuts, Tracey!!! LOve that paper, too! This cue word makes me remember a moon card I sent to someone very special to me ... hmmm - wonder if I could recreate that from memory? Love seeing the reverse of this - fun dp and great colours! Just gorgeous! LOVING the colors!!!!!!!!!!! Such great cards for the challenge! Love how you used the positive and negative to create them. Oooh I love both of these, Tracey!! It's amazing how swapping the patterned paper like that makes such a huge difference in the design. Love these! Love that you posted them both Tracey, they're fantastic!! Great idea to use both the positive and negative! You ended up with two really fabulous cards! Great cards Tracey - love how you used both the negative and positive die cuts - gorgeous. Oh these are both amazing Tracey! I love seeing them both together! Fabulous!! I love how different the paper looks in the two cards! Both are great, and a fun way to use the cue word. These are simply AMAZING!!! I LOVE it!!! What a bonus to get TWO such great cards from the same idea! Great design Tracey. Two fabulous cards Tracey...love your beautiful paper, it looks so amazing with that wonderful die. Great 'two-fer'! I love the patterned paper you chose! It's always nice when you can get two for one, Tracey. And two for one terrific card is even better. 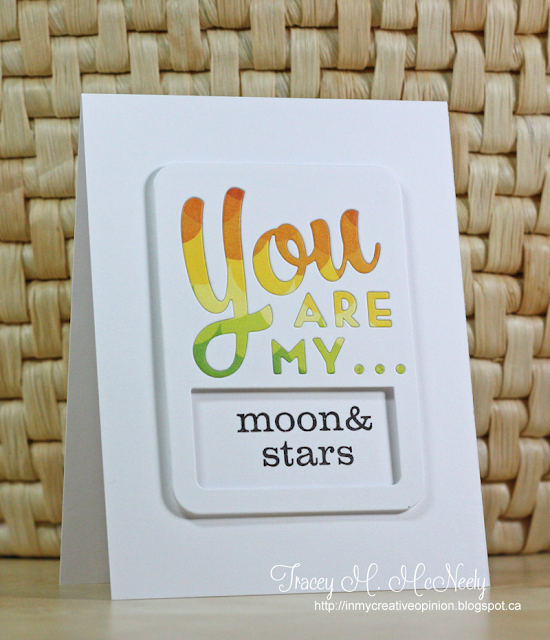 Fabulous cards -- I love both ways! 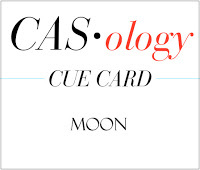 both lovely, fabulous CAS card for this cue! Great design! Love both of them! Hey Tracey!! You did a fabulous job on your cards. The colors are so vibrant and pretty. I totally forgot about that stamp and die set. I have it and you just reminded me, that I need to use it, LOL!! Nicely done. This if fabulous! What a way to make sure you use every scrap! I love the look of both of these! Two from one...and both equally as charming!